early march and 70 degrees.. makes a fellow want to work the soil. 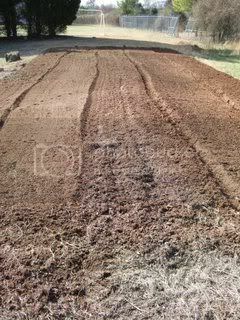 i got my garden tilled this past weekend. it is looking good, this is my third year working this plot. 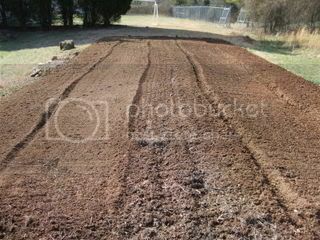 after cover crops, composting and organic fertilizer, its is now looking more like good garden soil, rather than the red "martian" clay i turned over 3 seasons ago. I have a friends' greenhouse i use to start the early items. I have a few lettuces, tat soi, red onions, and heirloom variety of purple cauliflower ( Violetta italia) and an experiment of spring brussels sprouts , of which i do not expect much, as it gets too hot too fast around here. but hey i got 300 seeds so why not try 10 or so. my orhpan orchid has fully bloomed. 8 flowers this time!!! I would have never believed i could have gotten so many!! WOW I love your orchid Tod!! Your garden is looking good and I hope that everything you plant in it comes up strong and healthy for you. 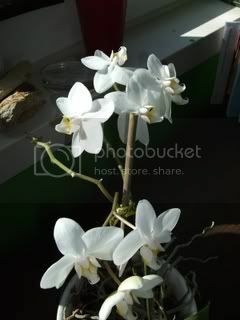 Your orchid is so pretty and you do have great looking soil to get all planted up. Woohoo, you've got soil! Aren't you the lucky one. 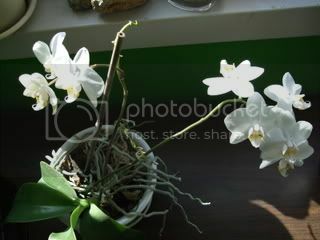 Love your Phalaenopsis orchid. 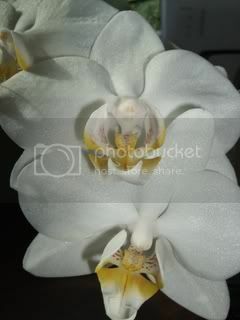 That is the great orchid I have in bloom and love it. zone 5 of course inside. How do you multiply it? I'm sorry i have no idea, how to divide an orchid. i just put it in a window, feed it occasionally and it bloomed!! 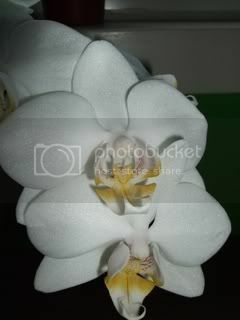 Wow - what a beautiful moth orchid.